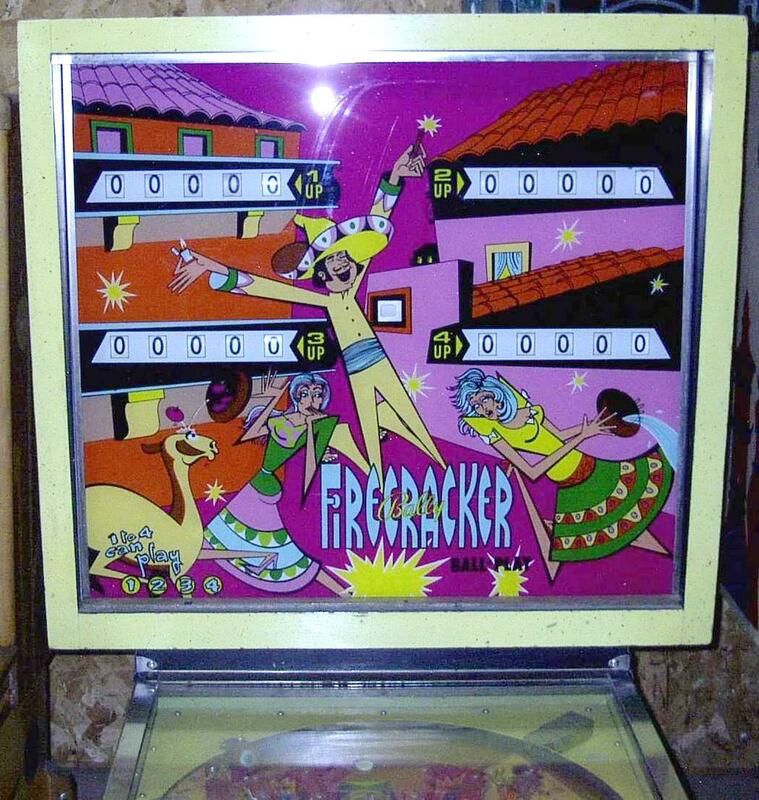 Description: 1971 Bally Firecracker pinball machine, Bally, 2/71, four player. 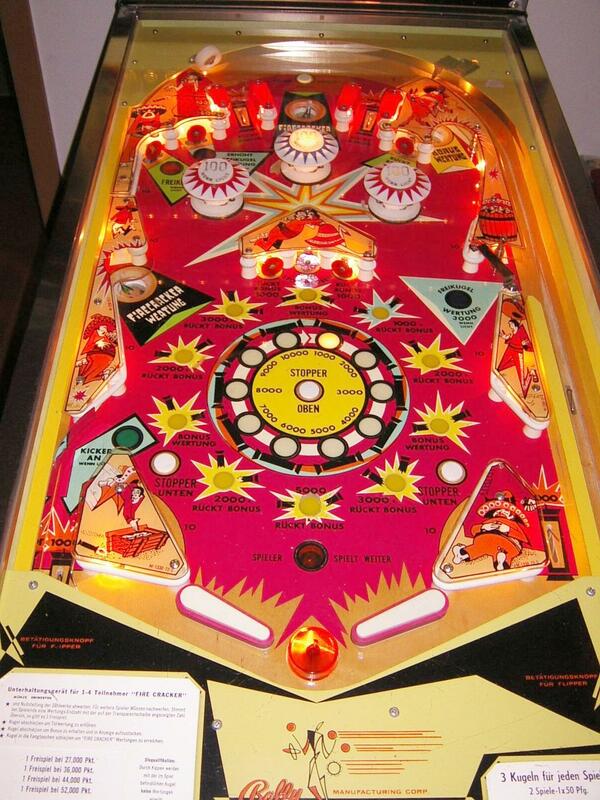 Electro-mechanical pinball machine. 2800 units made.